A quality electric pencil sharpener that is both reliable and can form fine point with your beloved pencils will be an indispensable tool for artists across several mediums. Not only can a good sharpener serve up a reliably fine tip, but it can also be great for getting better stroke consistency in your artwork while saving you quite a bit of time. Getting a bad electric sharpener will not only lead to inconsistent work, but will also cost you a whole lot more money in lost art supplies should it chew up your pencils to bits. 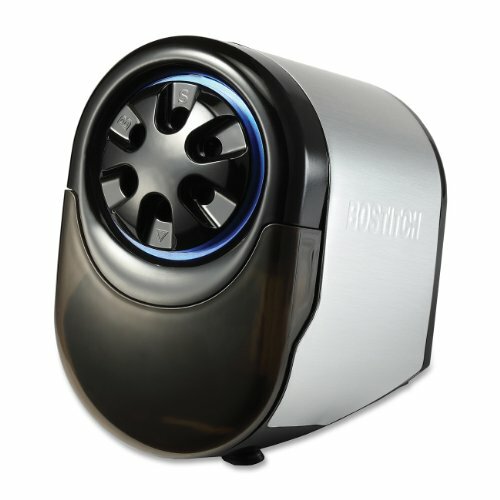 Today we wanted to review a few electric pencil sharpeners that have incredibly sharp blades that will not only slice through the wood barrel effortlessly but can also work with a wide variety of barrels, have industrial grade steel, and most importantly, work really well – like the Bostitch QuietSharp Glow. In addition to providing reviews on the best electric pencil sharpeners, we also wanted to go over a few key factors that you will definitely want to think about before making your purchase. This way you select the perfect sharpener for you and your studio. As we were doing our research on all of today’s top sharpeners, we kept seeing some of the same questions raised by professional artists. 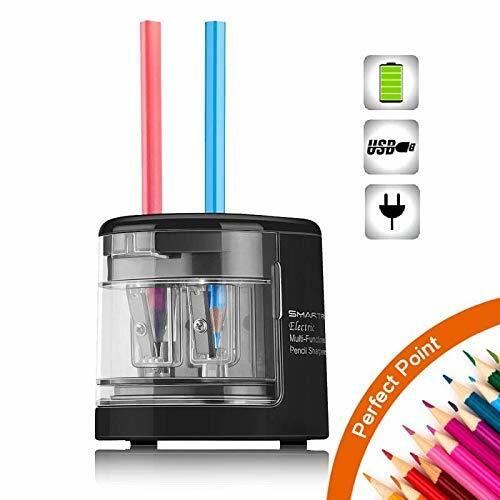 If you would have asked us a few years ago if you could use an electric pencil sharpener with your colored pencils, we probably would have looked at you like you had 2 heads! Not only has the cutting technology in the electric pencil sharpeners improved tremendously over the years, but more and more companies are actually advocating that you do in fact use their electric pencil sharpeners with your beloved colored pencils! While the scope of today’s article isn’t solely on sharpeners for colored pencils (although we will touch on them just a bit), we do want to direct you to our recent guide outlining the best electric sharpeners specifically for colored pencils that we recently wrote. There you can find the best sharpeners for your Caran d’Ache, Prismacolor, Derwent, etc. colored pencils. 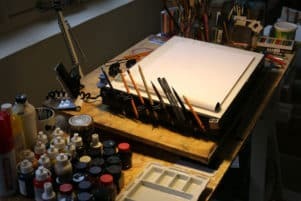 Now when it comes to other mediums such as oil pastel pencils or even watercolor pencils, its largely dependent on both your pencil and the sharpener itself. Normally ‘harder’ leads are a bit more forgiving and can work with most electric sharpeners, but an oil pastel pencil on the other hand may be a bit too soft and will crack from the cutting stress. If you ever want to err on the side of caution, we recommend that a manual pencil sharpener be used instead. Lastly, for graphite pencils –anything harder than 2H will be ok (use this pencil grading chart for reference). Softer graphite pencils (softer than 2H) are recommended to be used with either a sanding block, knife, or manual sharpener as the soft lead will usually fall apart if inserted into an electric sharpener. You will always want to verify that your medium is safe to use with the sharpener (typically found within the owner’s manual), before sharpening your pencils. When using a standard manual pencil sharpener, once the blade becomes dull you will typically throw it out and buy a new one. However, with some electric pencil sharpeners, this is not only bad for the environment, but also a complete waste of money. 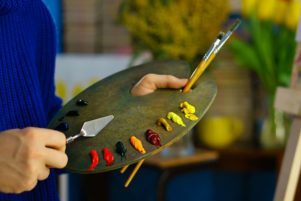 If you are an art teacher, professional artist, or simply plan on sharing your pencil sharpener with your family – then buying one that has a replaceable blade will be a great choice. This will not only save you money in the long run, but the ability to pop in a fresh set of blades after a few years will be great for ensuring that your pencils always have a sharp and fresh tip. Unlike the electric pencil sharpeners of yesteryear, a few of the modern ones sold today have the ability to dial in your preferred tip sharpness. While this may seem like overkill to some, for professionals this will be a welcomed feature. Adjustable tip sharpeners are great if you want to get a wide set tip for all your graphite or colored pencils so you can have even stroke widths when doing large blocks (also a great way to get consistent shades too). This not only provides you with predictability in your artwork, but ultimately better results as well. If you are really particular about how your pencils perform, then you will want to pick up an electric pencil sharpener with this feature. 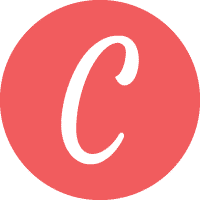 Largely dependent on your own preference, portability may be something to think about. While most of the electric pencil sharpeners that we reviewed are corded (simply because they provide a bit better and reliable results), some brands like SMARTRO can operate on 4 AA batteries. 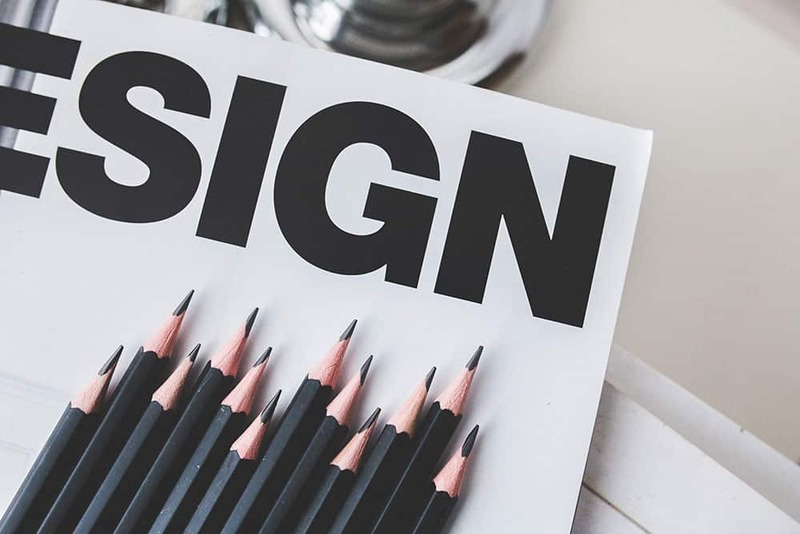 This can not only be really nice should you be sketching out some quick gesture drawings at your local coffee shop – but it’s all-in-one design is a perfect cord free choice if you want to keep a pretty clean and uncluttered art desk. Naturally, with portability comes the extra requirement for batteries. If you want a low-cost yet long term option, there is still no beating a standard no-frills corded electric pencil sharpener. Should you be purchasing an electric pencil sharpener for your home or school use, you will always want to make sure that child safety options are a part of the sharpener you buy. Now normally people would think that this relates to the prevention of fingers being inserted into the hole of the sharpener itself (no, this is still a possible danger), instead companies are often referring to the operation of the sharpener when the shavings tray is opened. So, make sure it has this safety feature, especially if you have any younger children present. No one likes to get a fancy new art supply only to have it break a few months down the road. 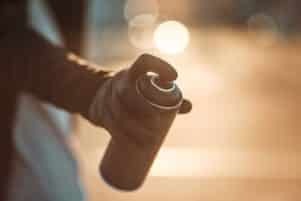 Therefore, you will want to think about the warranty offered should the blades suddenly become dull or broken (this is really important for the professionals reading). Based on our findings, you should expect most companies to offer at least a 1-year warranty. The AFMAT electric pencil sharpener is a perfect no nonsense sharpener that gets the job done. Weighing in at just under 2 lbs., it’s stout rubber feet should stick to most surfaces without scooting around while you are trying to get a sharp tip. But where the real action lies is within the sharpener itself. You can get just the right type of tip for your pencil in order to get reliably accurate results. The sharpener features a child safety design that will automatically turn of the sharpener as soon as the shavings tray is removed. 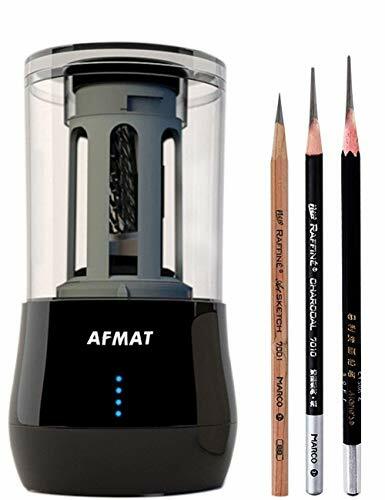 While some artists may be a bit unfamiliar with the AFMAT brand name (we were at least anyways), just know that this sharpener does come with a 2-year warranty to help ease any uncertainty. Lastly, we did check out the AFMAT site and were unable to locate any replacement razors to purchase. Overall, this is a no-frills sharpener that is designed to do one thing and one thing only – sharpen pencils. If you want something that won’t break the bank, then it’s a pretty solid choice. While from the onset this pencil sharpener may seem to be a bit overkill as its an industrial grade sharpener made for a classroom setting – we think just the opposite. There’s a lot to love about the QuietSharp Glow from Bostitch. From its replaceable blades to the stall-free motor, this electric pencil sharpener was built to last a lifetime. In addition to the industrial grade components, the 6 different barrel openings will be great for just about any sized pencil that you throw at it. Whether you have a one that is a fair bit wider in your studio to your child’s triangular barrel pencils, it will have no problem handling them all. Another pro feature that we really loved was the colored pencil compatibility. With many electric pencil sharpeners, the companies don’t make the blades accessible. But given that these blades can be replaced, if your waxy Prismacolors or oily Faber-Castell Polychromos gunk this sharpener up, you can simply pop out the blade and clean off any excess lead. This may not seem like a big deal, but if you sharpen up a large set of colored pencils – it’s a very welcomed feature. The Bostitch QuietSharp Glow comes with a 7-year warranty – so you can buy with complete peace of mind. Overall, for professionals it doesn’t get much better than this. If it can handle an art classroom full of kids with colored pencils, it will be able to handle you no problem. The blades are super sharp and will give you a great and reliable tip every single time. X-Acto has been a name that has been trusted for generations. Established in 1930, they have been the go-to brand for arts, crafts, modelmaking, and countless other hobbies over the years. Given the lineage it would only make sense that they offer up a product to get your beloved graphite or colored pencils to a fine tip, right?! 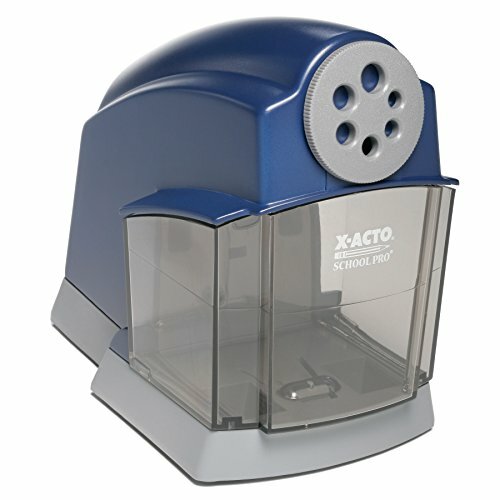 With the X-Acto School Pro Classroom electric pencil sharpener, they did just that. Evoking very similar design traits to the Bostitch QuietSharp Glow – the X-Acto is another 6-barrel heavy duty sharpener that can withstand abuse. Made for industrial and classroom settings, the flyaway cutter system is designed to reliably sharpen thousands of pencils without becoming dull – making it one of the few electric pencil sharpeners in the market that can withstand the test of time. What’s also pretty unique about this sharpener compared to most is how it cuts the lead. Rather than just sharpening it to a broken point like most, the X-Acto School Pro sharpener rounds out the pencil point. This will help prevent that stubborn broken lead problem you normally see when making the first stroke of a sharpened pencil. Naturally this will be a welcomed feature by pros who are working on a commissioned or simply fine art piece and don’t want their sharpener to get in the way of their natural abilities. Lastly, when it comes to warranty, there is no beating X-Acto. While you might have thought that the Bostitch QuietSharp Glow warranty was pretty impressive at 7 years, this sharpener by X-Acto beats it out by 3 years by delivering a 10-year warranty. Overall, the precision and quality in this sharpener by X-Acto is great. If you are looking for a cheaper alternative to the Bostitch QuietSharp Glow, get this one, you won’t be disappointed. When looking at the AFMAT long point pencil sharpener you will see that there is nothing truly like it on the market today. Able to form a super long nib between 18 – 25 mm all the way to a shorter 8 – 15 mm nib, you truly have total control when it comes to your preference in lead exposure. While we talked briefly about holding a pencil in our gesture drawing post, the over exposure of lead is perfect for those artists who want to put down large shading blocks in their graphite or colored pencil pieces without having to rely on manual sharpening with a knife. Lead exposure aside, what artists also loved about this sharpener were the power options. Within the unit you have three different options. 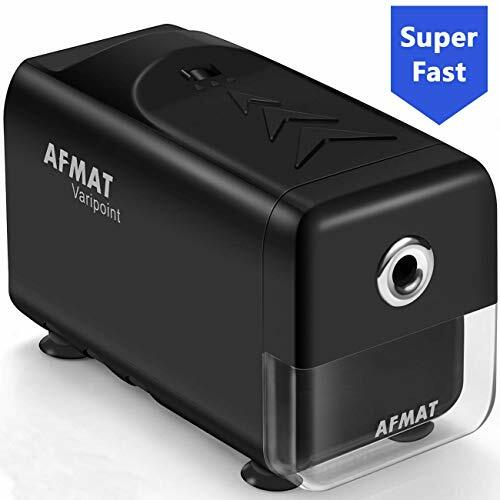 First there is an onboard lithium ion battery (which lasts for about 300 uses), then you have a plug that can get charged via a standard USB outlet, and lastly AFMAT includes a standard AC adapter – making this the most versatile sharpener on our list. Overall, this is a sharpener that was designed with artists in mind. The power options are a nice touch. Auto-stop sharpening will also save your long nibs from accidentally cracking. The best way we could describe the SMARTRO electric pencil sharpener is that its more of a hybrid pencil sharpener rather than your traditional electric sharpener. Instead of it relying on a helical cutter system like the others on our list, the SMARTRO cutter is simply just a manual sharpener that fully rotates around the pencil in order to get a fine point. In the end, it results in a much gentler and more precise cut – making it perfect for softer lead pencils. Additionally, this is one of the few electric sharpeners on market that also features a double chamber design – allowing you to form either a fine 9-12mm or wider 6-8mm tip for your pencils. While sure, the auto stop feature in other sharpeners is welcomed, this two-chamber design ensures that you do get predictable results every single time. Like the AFMAT Long Point Pencil sharpener, the SMARTRO can be used three different ways – USB, Battery, and AC adapter for ultimate versatility. If there is any sticking point to this sharpener it would be around the warranty, or lack thereof. While its priced under $15, should it break, you will need to purchase a new one. Overall, this is a neat little device that takes the manual sharpener to the next level. The included replaceable blades are also a nice touch. We just wish it had a warranty. 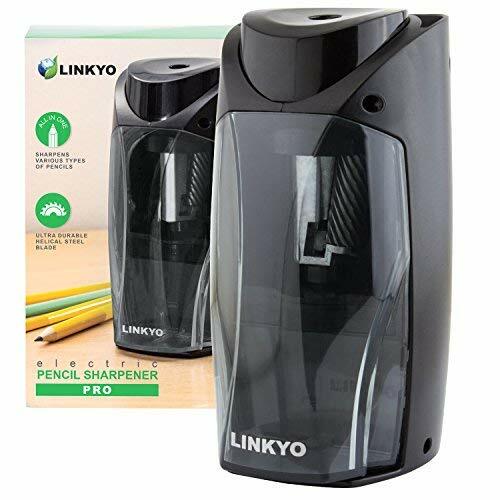 Next up on our list is the LINKYO electric pencil sharpener. Carrying many of the same design aesthetics as the AFMAT long point pencil sharpener, this corded upright electrical sharpener is a great way to get a uniform point across all your pencils. Featuring just one tip setting, it is a bit limited when it comes to those artists that want a bit more control in how their pencil is sharpened. However, to offset that drawback, the LINKYO can work with a wide variety of barrel widths (anywhere between 6.5mm and 11mm), allowing it to easily accommodate even the beefiest of pencils. Perfect for desk use, the included pencil storage tray is also welcomed. Overall, with a 1-year warranty coupled by strong sharpening qualities, this pencil sharpener is great for those artists who want predictable results. Given that it is absent of a few pro features, it does at least come in a bit cheaper than others we reviewed. There’s a lot to like about this small, yet ultraportable, sharpener by PowerMe. Now normally when it comes to battery powered sharpeners you will have to compromise a bit when it comes to sharpening time. 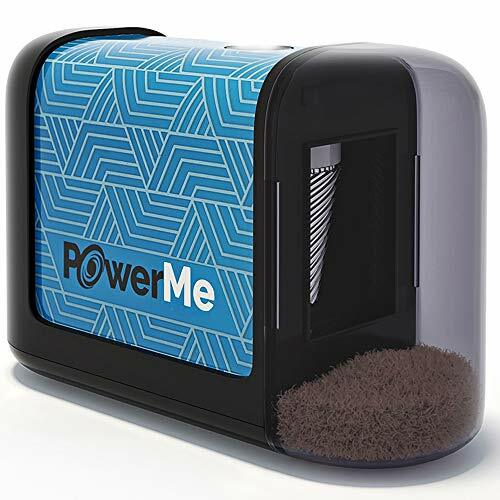 With some sharpeners on the market taking upwards to 10 seconds to form a tip from even a dull pencil, the PowerMe sharpener is able to get a fine point in just 3 seconds.. This makes it one of the quickest sharpeners on the market. You can throw whatever you want at it and this little sharpener will perform great. Perhaps the largest advantage of this sharpener will be for those artists who are going between class or that like to draw out in the field or at a coffee shop. The quiet motor coupled with the small footprint make it fairly portable (especially when compared to the larger corded offerings on our list). Overall, it’s a great little pencil sharpener that gets the job done. The lack of tip variety may be a deal breaker to some, but the fast and reliable performance more than offsets this limitation. Finding the best electric pencil sharpener for artists in 2019 proved to be rather difficult. Whenever we initially set out on the task, we noticed immediately the classic sign of mediocrity (sea of 3s is what we called it). Basically, this means that from the onset, there were no standout brands at popular online art stores like Blick or Jerry’s Artarama. However, after careful research and weeding through the fake reviews, we were able to find a few great offerings that we think you will love. With that being said, we hope that our guide was helpful in finding the perfect electric sharpener for your artistic endeavors!